So, in August last year while flying on an internal flight a small 20 seater aircraft crashed into a house a few hundred feet from its destination airport. There were no distress calls from the pilot before impact & as far as the aviation authorities were concerned the crash was caused by a ”lack of fuel”. There were only two survivors, a Congolese man and a crocodile. Just so we’re all clear, a human & A CROCODILE. After a few days of lying in a comatose state the human awoke and revealed this remarkable story. What had happened was one of the passengers caught this juvenile croc in Kinshasa which he wanted to sell in Bandundu but didn’t want to pay the steep transport & licensing fees that would come with sending it up legally so he decided the best thing to do was buy himself a plane ticket to Bandundu and carry the half grown crock on the plane with him in a sports bag. Unfortunately for him (and all the other passengers), this brain surgeon didn’t bind it correctly and it somehow managed to escape from the bag just moments before the plane arrived at its destination. As it jumped free from its “enclosure", the croc startled the passengers who all jumped up from their seats and ran towards the cockpit to escape the gaping jaws of this prehistoric beast. The shift in weight on the small plane caused it to nose dive, the pilot was unable to correct in time and the plane hit a house and blew up. The crocodile was later dispatched with a blow from a machete. (Poor guy didn’t even get to tell his side of the story.) Very sad but really an amazing story! The workings of Africa are hard to comprehend unless you’ve truly experienced them, and don’t think to yourself “Well I live in Africa too” because, my friends, SA may as well be in a different solar system when you compare our fair land to the rest of Africa. 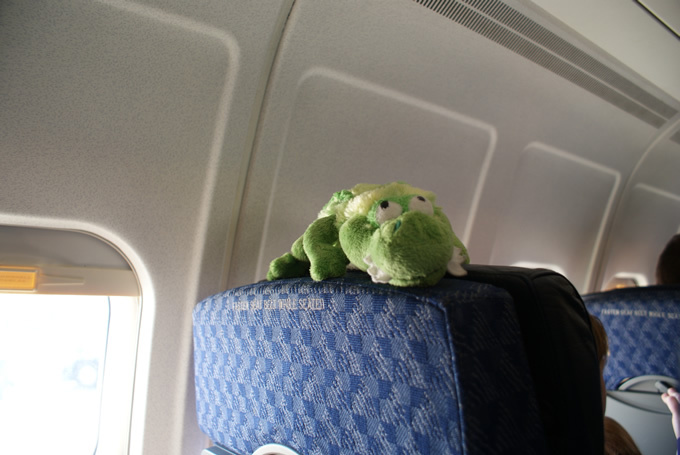 What you get if you search Google Images for "Crocodile on a Plane". Let’s just say there are a few reasons I’m writing this email on the day that I leave the DRC... One being that I would very much like to make it out of here, the other is I would not like to return and this email will hopefully guarantee that. While names and places have been removed, I hope that I'm doing my part to help his cause by spreading the word. Snakes on a Plane: The (African) Sequel was published on April 20, 2011 .